Tip #1: Give it a go and put your embarrassment to the side! 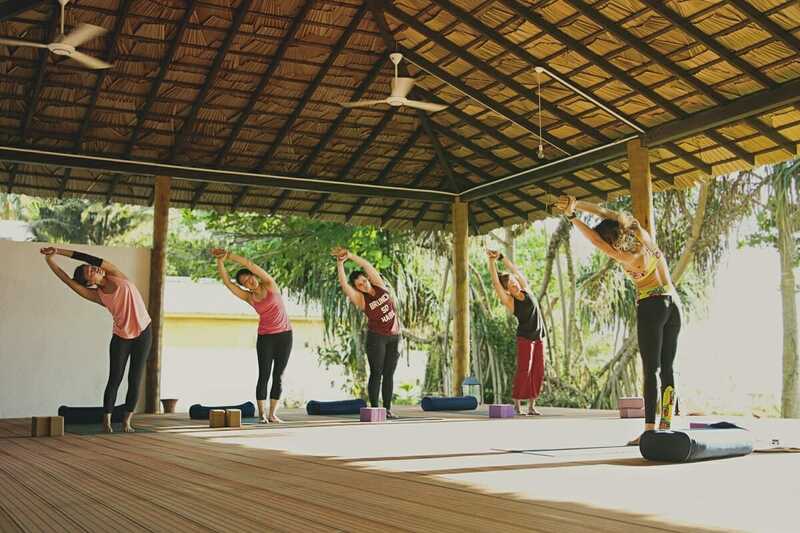 Yoga retreats and wellness getaways are becoming increasingly popular for not just regular yoga practitioners, but also people who are looking to unwind from the stresses of everyday life, those who want a way to stay active while on vacation and people who want to learn more about yoga and deepen their practice. 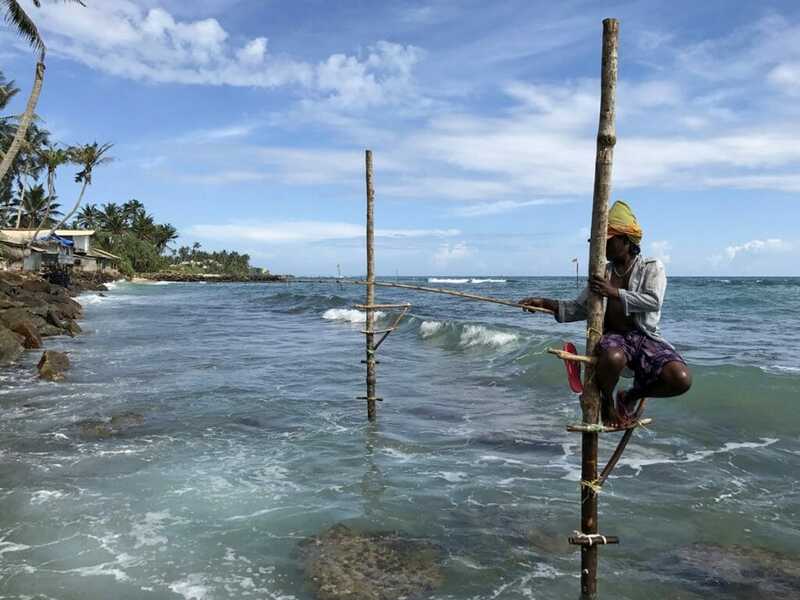 Earlier this year, I hosted a wonderful group in southern Sri Lanka for a 4-day yoga retreat (click here for 7 reasons why you should attend a yoga retreat in Sri Lanka!) and was blown away by their open-mindedness, dedication and warmth. In addition to meeting new people, traveling and taking part in a yoga retreat is a wonderful way to fill your cup and enhance wellness, explore new parts of the world, be a part of the international yoga community and most importantly: immerse yourself in Yoga. 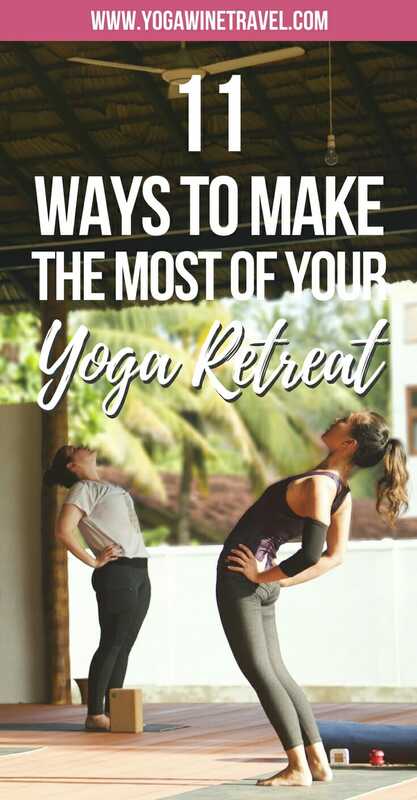 Whether you are a regular yoga practitioner, have never stepped foot in a yoga studio before, have attended a dozen yoga retreats or are considering attending your very first one, I have teamed up with a few amazing travel bloggers who have participated in a yoga retreat to put together this list of 11 tips to help you get the most out of your yoga retreat experience! 1. Give it a go! I recently participated in my first ever yoga retreat and my biggest piece of advice for making the most of your time, especially if you are new to yoga but want to give it a go, is to put your reservations and/or embarrassment to the side and just focus on what the instructor is guiding you to do. I didn’t have much yoga experience at all when I went to the retreat and during the first couple of classes I felt that I was focusing more on being embarrassed by what I couldn’t do than being in the moment with what I was doing. I also focused on how everyone else in the class was so much more advanced and all of this held me back from being able to get the most out of the lessons. Once I put that to the side, I was really able to focus on what my body was doing and listen to what the instructor was teaching me and not only did my yoga improve, but I also enjoyed the process a lot more. Don’t make my mistakes and waste those first couple of lessons. Instead, go into the retreat with a focus on your own practice and you will have a lot to gain from your time there. 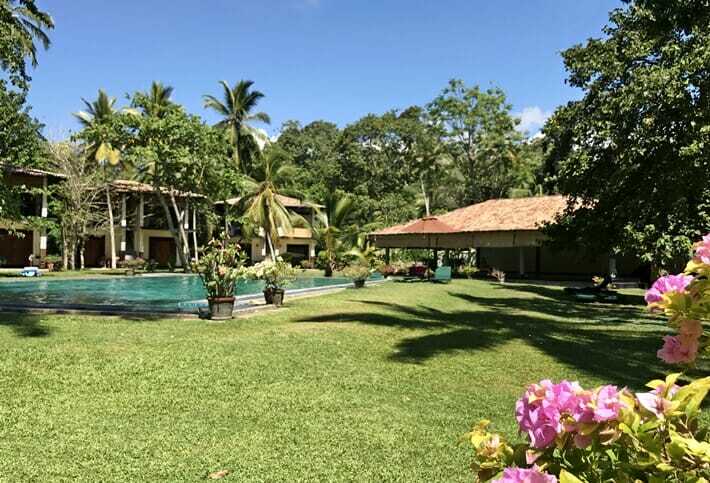 Read more on Katie’s experience from our Yoga retreat in Sri Lanka here! 3. But don’t let that hold you back from getting to know your fellow retreat participants! Like I said before, being a part of a yoga retreat is a great opportunity to meet like-minded people and be a part of the community. Everyone’s practice looks and feels different so don’t let comparison get in the way of reaching out and connecting with others! Learn about each other’s passions, hobbies, family, pets, beliefs and thoughts – the sky’s the limit! Yoga retreats can be intense and often involve multiple asana (poses), breathing, meditation and philosophy classes each day. Now is not the time to push your body (and mind) beyond its limits; instead, aim to play the edge and practice self care by getting plenty of rest, eating well, drinking lots of fluids and taking time to fill your cup. It is amazing what a difference the smallest changes can make to your poses – and your enjoyment of yoga. Most instructors will be happy to spend some time with you – either a quick session before or after a class or a more formal paid session. One-on-one instruction has shown me things like the importance of spreading your fingers wide, how to use your toes in poses and placing your weight under the index finger portion of our hand vs the whole hand. Another key benefit is having the instructor adjust your poses whilst you are in them. This helps your body develop an instinctive sense of how to adjust itself no matter what the pose. The mister and I just came back from a mini yoga retreat this past weekend. We had no idea what to expect before going- he doesn’t even practice yoga on a daily basis (or at all, for that matter!). It turned out to be an amazing experience and we can’t wait to go on another. I think the most important thing is to keep an open mind and just listen. Listen to your instructor, listen to your surroundings, and listen to your body. Breathe, and let go. We left feeling extremely rejuvenated and inspired! Regardless of whether you are traveling to the yoga retreat destination by plane, train, car or even foot, during your downtime, make the most of your experience by getting out and exploring what the area has to offer. Be it temples in Thailand, rice paddies in Bali, the beach in Mexico, nature trails in Canada or a safari in Sri Lanka, discover the local sights! It’s common to have high expectations before & during your yoga retreat. After all, you’re paying a lot of money to go on your holiday! When things don’t go quite as expected, this is the perfect opportunity to practice patience, contentment and letting go. If the schedule isn’t exactly as planned or your food is taking awhile, remember to come back to your breath. When you’re consciously breathing, it’s easier to focus on what you can control. If pesky insects decide to join your savasana, guess what? It’s the perfect opportunity to pause and seek gratitude for your yoga retreat. Everyone has a different reason for participating in a yoga retreat. Maybe you want to deepen your practice, get in touch with nature, see a new part of the world, remove yourself from daily habits and patterns, relax and de-stress or maybe it’s a combination of all of these reasons. Before the retreat, take some time to think about what you want from the experience; after the retreat, set some time aside to reflect on your retreat experience and contemplate what you learned (or didn’t learn but wish you did!). The yoga retreat experience does not have to be detached from your everyday life at home. Everyone takes away something different from a yoga retreat: from how to modify a pose or a new breathing or meditation technique, or perhaps it goes a bit deeper and you discover more about yourself, your practice and your priorities. Find ways to integrate your new skills, knowledge and realizations into your life. Have you ever been on a yoga retreat before? Do you have any other tips for how to get the most out of a yoga retreat experience? Share it with me in the comments section below! Looking for more Yoga-related content? Click here! 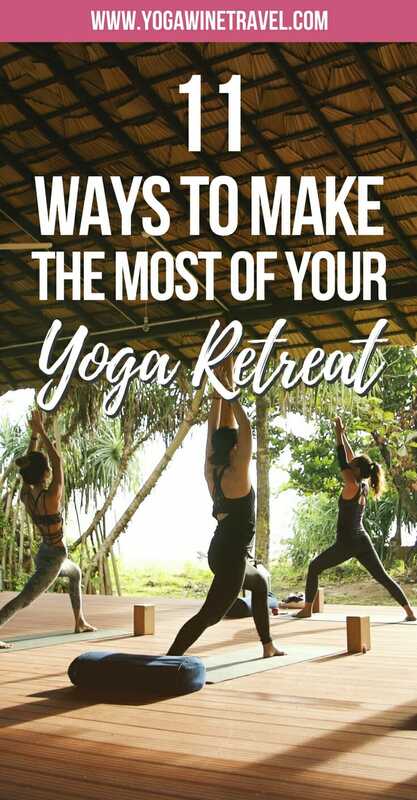 Not gonna lie, I’ve never been a yoga enthusiast but after reading your blog, I’ve seriously been contemplating about joining a yoga retreat. I’m such a city girl tho and I’m used to rushing to places all the time. #9 is gonna be a hard one! A retreat will help you slow down, Jas! When you’re looking up potential retreats make sure you research the style of yoga asana that is being taught and the background of the teacher. You should definitely also ask if it is suitable for “beginners” or those who are new to yoga! To be honest if I was there with you girls in Sri Lanka I wouldn`t mind being a part of your group. I always thought that yoga can help me a lot and I know that as a fact but I am so lazy to do it. Have to change my attitude I guess. Maybe you can join us next time, Elena! Fantastic tips for going for a yoga retreat! The insect joining during savasana needs more work on my part.. I’ll freak out! Can’t wait for a good chance to go for another one, regardless. Thanks for including my tips! I wasn’t sure what to expect when I signed up for your retreat and I was so nervous but it was such a fun experience that left me with so many good memories. Now reading this makes me want to do another one! I’ve had to put yoga on hold for about six weeks because of a shoulder injury. I didn’t realize I would miss it so much! 2 more weeks and I should be able to go back. While you’re taking a break from physical asana you can focus on the other aspects of Yoga if you wish! You can practice breathing techniques and meditation and others – if you’re interested you can look up the 8 limbs of yoga! So I’ve always wanted to try yoga, but have just never gotten around to it! I always thought a yoga retreat in an exotic location would be amazing, but kind of assumed I’d need some level of experience before going. I was happy to read that is not the case! Awesome post. Appreciate the loads of information provided, as well as the great pictures! Thanks for sharing! I am about as flexible as rock! Lol but would love to give yoga a try! You will be amazed how much you can deepen your practice in a retreat setting – I hope you get to participate in one soon! Yes, yoga retreats are becoming very common now. I have not gone to a retreat before, but I’m sure the travel, exercise and community make it a wonderful experience. I’m sure I will try one at some point. I hope you get to participate in one soon, Sally! Thanks for sharing this. I’ve been thinking about moving beyond the basic yoga classes at the YMCA. This is something I’m certainly interested in getting into. It’s a great way to spend your vacation, Kellyn! 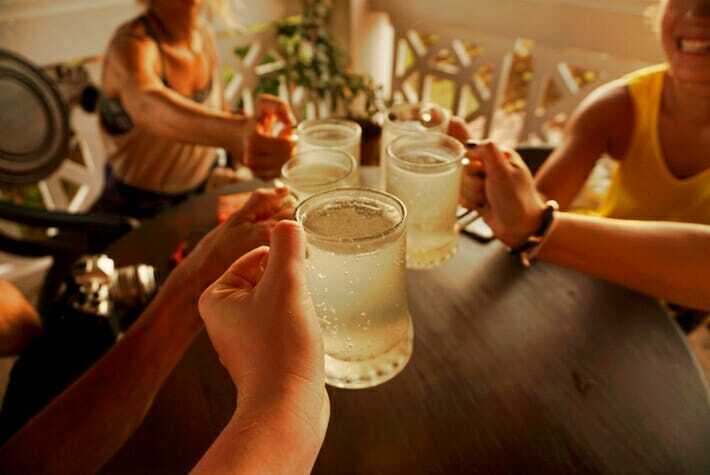 Many retreats have relatively flexible schedules so that you can go sightseeing and relax as well. That’s so exciting! Where will you be doing that? I’m not a yoga person but your article is making me wanna try. Please do visit India for some really amazing Yoga retreats! Some hotels will have nannying services, or even better – find a retreat that’s designed for families with teachers who are qualified to teach kids yoga! I would love to join a yoga retreat. It sounds exciting and a lot of fun. I like that the bloggers mentioned about being patient. I struggle to do yoga poses because my lower back is not that flexible yet. I feel intimidated when I see women who are able to do all those yoga poses that I want to do. However, it is important to just pay attention to yourself and not compare. After all, a yoga retreat is all about learning. I couldn’t have said it better! It’s all about learning and non-comparison. It’s also important not to compare with what your body felt like yesterday, the day before, or a month ago. Our bodies change on a day-to-day basis so it’s important to focus less on how “far” you can go in a pose! I’ve been seeing yoga retreats pop up more and more! I’m glad this post touches on not being afraid if you’re a beginner. I’m definitely a beginner and I would be so self conscious! Will definitely look into your upcoming retreats! It’s totally understandable for people to be intimidated but I promise that Yoga is not just about being able to touch your toes and bending like a pretzel! If you’re unsure you can always speak to the teacher ahead of time to see if they are able to provide props and guidance re: modifications. Let me know when you go on one, Bruce! I’d love to hear all about your experience. Thanks for checking this out, Richelle! 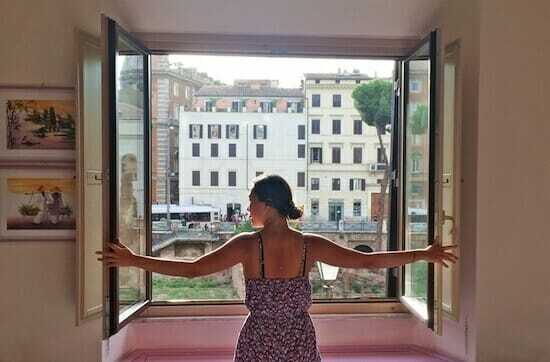 Let me know when you make it on a yoga retreat, I’d love to hear all about it! Thank you for sharing great information. it’s really very helpful for all people. Retreat is the best way to fit our health. i would like to join a yoga retreat. Your health is really what’s being worked on when you go on one of these retreats. It’s not just a physical health, but a mental one too! Being in balance with your health and taking care of yourself, like you said, is so important to enjoying your experience.